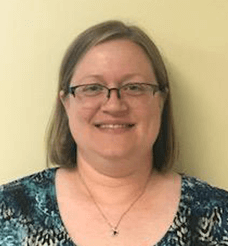 Jennifer Dustin received a Master of Science in Physical Therapy Degree from Grand Valley State University in 2004 and Doctorate of Physical Therapy at Northeastern University in 2010. Over her 14 years as a licensed Physical Therapist, she has had advanced training in Women’s Health (pelvic pain, incontinence and pregnancy), vestibular, concussion, sports medicine, orthopedics, spine, Traumatic Brain Injuries and headaches. Jen has worked with the military in Japan, as well as in Virginia, Illinois and Michigan. In her free time, she enjoys spending time with her two children and husband, being outdoors and reading.